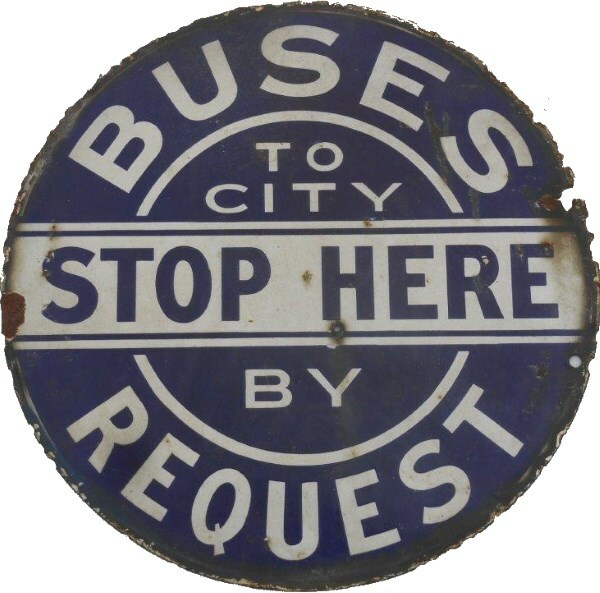 Lot 178 Round Enamel Bus Sign "BUSES TO CITY STOP HERE BY REQUEST". Ex Birmingham Transport. Good condition.